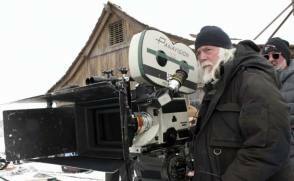 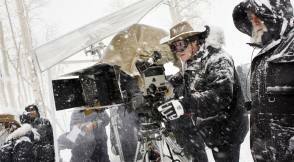 This photo was captured while shooting the film The Hateful Eight (2015). 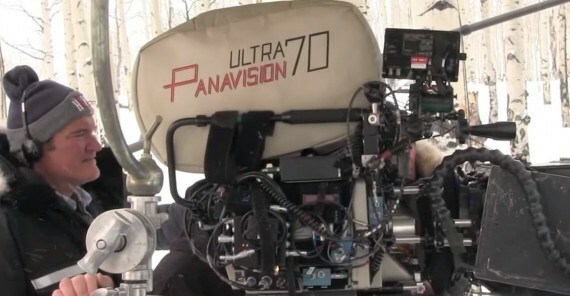 The director Quentin Tarantino can be seen in this picture. 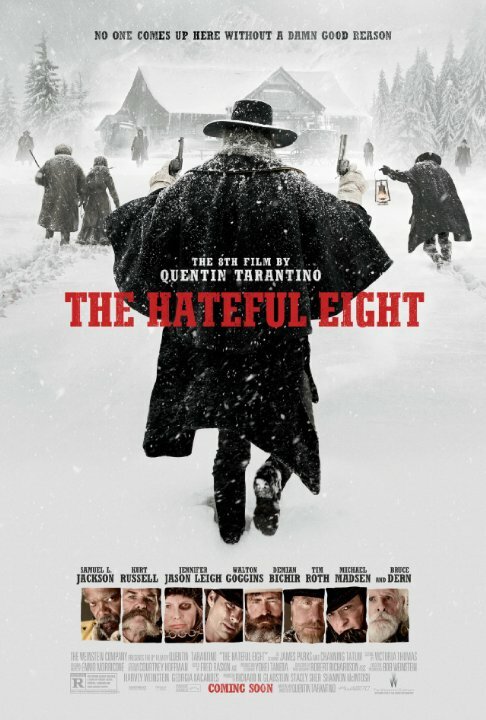 The film is set some years after the Civil War in Wyoming, and revolves around eight strangers who seek refuge in a stagecoach stopover on a mountain pass during a blizzard.